It’s safe to say that most of us would agree we’d like more money and a few extra holiday days. So if it were up to us, and not our employers, how much more of each would we give ourselves? 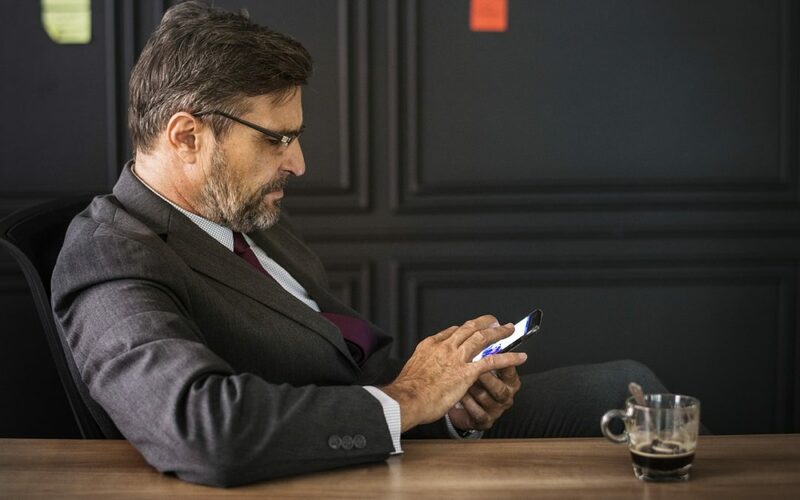 Professional CV writing specialists Purple CV, carried out a survey of 2,500 British workers and found, on average, Brits believe they deserve a not-insignificant 36.8 percent pay increase (£8,500.43 on top of their current average salary). UK North Easterners believe they are the most undervalued, and should be paid 45.4 percent more per year (£9,700.16). Those who are happiest with their current remuneration are the Welsh – they would be happy with just £6,298.50 (30 percent) extra per year according to the survey. The company also surveyed workers by industry. While lawyers get a bad rep as being shark-like, they’re actually the industry who feel they deserve the lowest pay rise, at only a 30 percent increase. While they may not all be pro-bono, it looks like they might not be that unreasonable after all when it comes to pushing up their hourly rates. Surprisingly, the industry you might think would ask for the least actually asked for more than the lawyers:charityworkers believe they deserve an increase of 32.3 percent! And despite the high salaries of bankers, they’re still not happy, and feel underpaid; deserving 41.4 percent on top of what they currently earn. However, workers in the tech industry feel they deserve the highest rise. Despite many tech companies being floated on the stock exchange for gazillions of pounds, they still feel they deserve over 50 percent more money: 57.7 percent, in fact. Workers in Law believe they deserve the least (30 percent) increase. Finally respondents were asked whether, given the choice, they would choose more pay or extra holiday days. And instead of choosing more time off, 63.2 percent of us would prefer to take a higher salary. 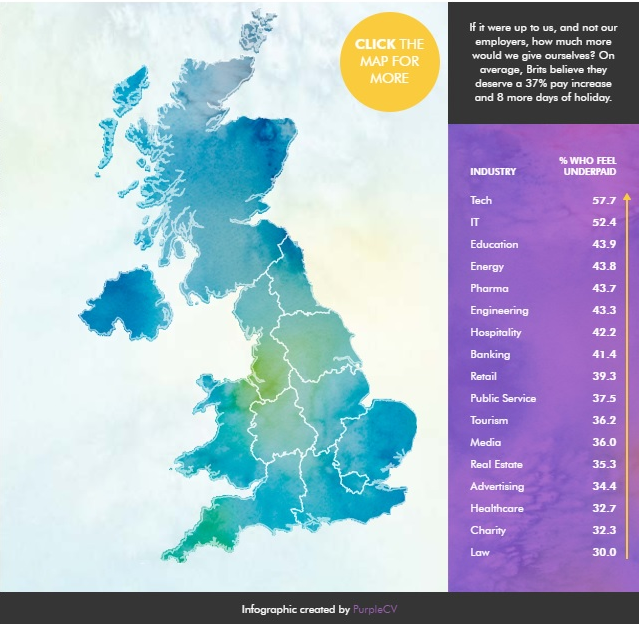 Almost every region across the UK was in agreement, except for East Midlanders where 56 percent would prefer extra holiday time. Pick the right time to approach your employer. Chances are they are more likely to say no if you don’t pre-warn them first. Set up a meeting and let them know what you would like to discuss in advance, it will give both you and them time to prepare. Know your industry and find out your value before asking for a pay rise. Spend some time looking into how much others in similar roles are earning. Employers are going to ask why you deserve the pay rise, so make sure you come to the meeting prepared with examples of where you have exceeded company expectations. Don’t be too tempted to just accept their first offer; it would be appropriate to say you will get back to them. You may not always get the answer you want, but remember ‘no’ doesn’t always mean there isn’t potential for it to be brought up again at later date. So when you ask your employer for more cash – think of this. Will this extra money make you more happy? or will you continue to push for more and more unattainable salary goals?